1. See 1 Nephi, headnote; 1 Nephi 2:11; 3:9–10; 5:6; 7:2, 7; 16:35; 17:14, 20, 22; 18:24; 2 Nephi 1:1, 3, 9, 30; 25:11; Jacob 2:25, 31–32; Omni 1:6; Mosiah 1:11; 2:4; 7:20; 10:12; Alma 3:11; 9:22; 10:3; 22:9; 36:29; Helaman 5:6; 7:7; 8:21; 16:19; 3 Nephi 5:20; 16:1; 20:29; Mormon 3:18–19; and Ether 13:7. Alma 24:1 uses the phrase in reference to a new land called Jerusalem by later Lamanites. 3. For the most complete discussion of the expression “land of Jerusalem” from an ancient Near Eastern perspective, see Daniel C. Peterson, Matthew Roper, and William J. Hamblin, “On Alma 7:10 and the Birthplace of Jesus Christ” (FARMS Papers, 1995). 4. See W. F. Albright, trans., “The Amarna Letters,” in The Ancient Near East: An Anthology of Texts and Pictures, ed. James B. Pritchard (Princeton, NJ: Princeton University Press, 2011), 437–440. For the most relevant excerpts, see Neal Rappleye, “Letters of ʿAbdu-Ḫeba of Jerusalem (EA 285–290),” Nephite History in Context 2 (December 2017): 7. For the most recent edition of the Amarna Letters, see Anson F. Rainey, trans., The El-Amarna Correspondence: A New Edition of the Cuneiform Letters from the Site of El Amarna based on Collations of all Extent Tablets, 2 vols., ed. William Schniedewind and Zipora Cochavi-Rainey (Boston, MA: Brill, 2015). For Hugh Nibley’s work on this, see Hugh Nibley, Lehi in the Desert/The Word of the Jaredites/There Were Jaredites, The Collected Works of Hugh Nibley, Volume 5 (Salt Lake City and Provo, UT: Deseret Book and FARMS, 1988), 6–7; Hugh Nibley, An Approach to the Book of Mormon, The Collected Works of Hugh Nibley, Volume 6 (Salt Lake City and Provo, UT: Deseret Book and FARMS, 1988), 100–102. 5. For background on the Amarna Letters, see Richard S. Hess, “Amarna Letters,” in Eerdmans Dictionary of the Bible, ed. David Noel Freedman (Grand Rapids, MI: Wm. B. Eerdmans, 2000), 50–51; Nadav Naʾaman, “Amarna Letters,” in Anchor Bible Dictionary, 6 vols., ed. David Noel Freedman (New York, NY: Double Day, 1992), 1:174–181. 7. See Kipp Davis, The Cave 4 Apocryphon of Jeremiah and the Qumran Jeremianic Traditions: Prophetic Persona and the Construction of Community Identity (Boston, MA: Brill, 2014), 132, emphasis added. For the relevant excerpt, see Neal Rappleye, “Apocryphon of Jeremiah (4Q385a),” Nephite History in Context 2 (December 2017): 2. 8. See Rappleye, “Apocryphon of Jeremiah (4Q385a),” 2–3. 9. Nadav Naʾaman, “Josiah and the Kingdom of Judah,” in Good Kings and Bad Kings: The Kingdom of Judah in the Seventh Century BCE, ed. Lester L. Grabbe (New York, NY: T&T Clark, 2005), 198–199. See also Robert F. Smith, “The Land of Jerusalem: The Place of Jesus’ Birth,” in Reexploring the Book of Mormon: A Decade of New Research, ed. John W. Welch (Salt Lake City and Provo, UT: Deseret Book and FARMS, 1992), 170–172. 11. Moyal and Faust, “Jerusalem’s Hinterland,” 284. Jeremiah’s expression “Jerusalem and all its cities” (Jeremiah 34:1 NRSV) seems to reflect this situation. 12. Yuval Gadot, “In the Valley of the King: Jerusalem’s Rural Hinterland in the 8th–4th Centuries BCE,” Tel Aviv: Journal of the Institute of Archaeology of Tel Aviv University 42, no. 1 (2015): 17–18. 13. Robert Eisenman and Michael Wise, The Dead Sea Scrolls Uncovered: The First Complete Translation and Interpretation of 50 Key Documents withheld for over 35 Years (Rockport, MA: Element, 1992), 57. 14. See Gordon C. Thomasson, “Revisiting the Land of Jerusalem,” in Pressing Forward with the Book of Mormon: The FARMS Updates of the 1990s, ed. John W. Welch and Melvin J. Thorne (Provo, UT: FARMS, 1999), 139–141. 15. Albright, “Amarna Letters,” 440 n.15. While others have disputed this connection, many biblical scholars still accept the identification. See, for example, Markus Bockmuehl, This Jesus: Martyr, Lord, Messiah (New York, NY: T&T Clark, 2004), 25; Eugen J. Pentiuc, Jesus the Messiah in the Hebrew Bible (New York/Mahwah, NJ: Paulist Press, 2006), 137 n.67; Denis Baly, “Bethlehem,” in HarperCollins Bible Dictionary, rev. and updated, ed. Mark Allen Powell (New York, NY: HarperOne, 2011), 92; Jerome Murphy-O’Connor, Keys to Jerusalem: Collected Essays (New York, NY: Oxford University Press, 2012), 5. 16. See Ronny Reich, “A Fiscal Bulla from the City of David,” Israel Exploration Journal 62, no. 2 (2012): 200–205; Martin Heide, “Some Notes on the Epigraphical Features of the Phoenician and Hebrew Fiscal Bullae,” in Recording New Epigraphic Evidence: Essays in Honor of Robert Deutsch on the Occasion of his 65th Birthday, ed. Meir Lubetski and Edith Lubetski (Jerusalem: Leshon Limudim, 2015), 72. 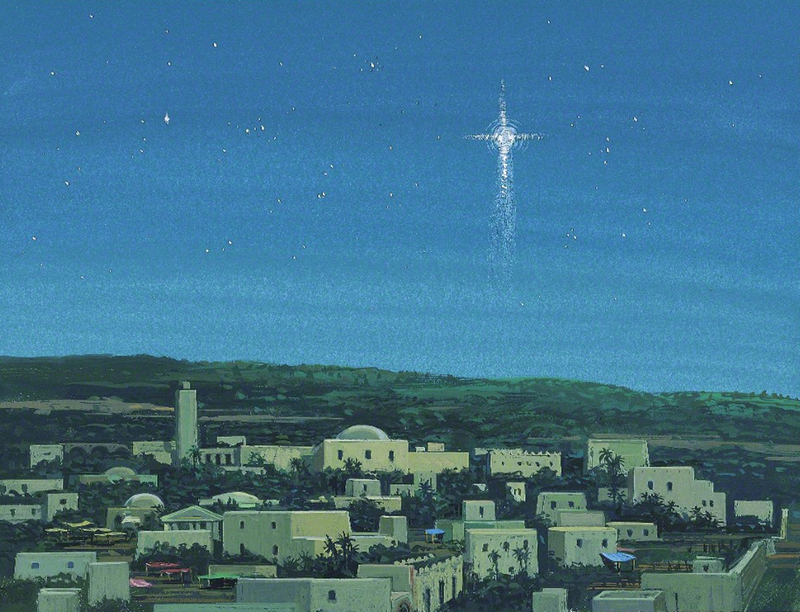 See also Neal Rappleye, “Bethlehem Bulla,” Nephite History in Context 2 (December 2017): 14–17. 17. See Neal Rappleye, “Why Did Alma Say Christ Would Be Born in Jerusalem? Surprising Evidence of the Book of Mormon,” LDS Living, December 21, 2017, online at ldsliving.org.